The latest Clan Wars update dropped for Clash Royale this month adding a new competitive mode that pits clan vs clan in a 2-day competitive event. Clash Royale, the poster child of innovative mobile battle arena gameplay has been losing engagement and viewer across YouTube and other streaming platforms. In fact, Clash Royale's quarterly revenues are around a half of what they were just a year ago. The games industry is a fickle place where gamers quickly switch between titles to play whatever is hottest at the time. Clan Wars is Supercell’s attempt to lure loyal fans back but will it give them a new reason to play the game. Clan Wars - What is it? A clan war is split into two phases. The first is a 24h period called “collection” in which each clan member has the ability to play 2-3 different match types against a random selection of players. These match types will be familiar to anyone who has been following Clash Royale for the past year or so in that they mirror the common challenges that are sometimes used for events. So far I’ve seen, double elixir, draft and 2v2 and in each case you can pick from your own cards or draft although they use Tournament level stats. 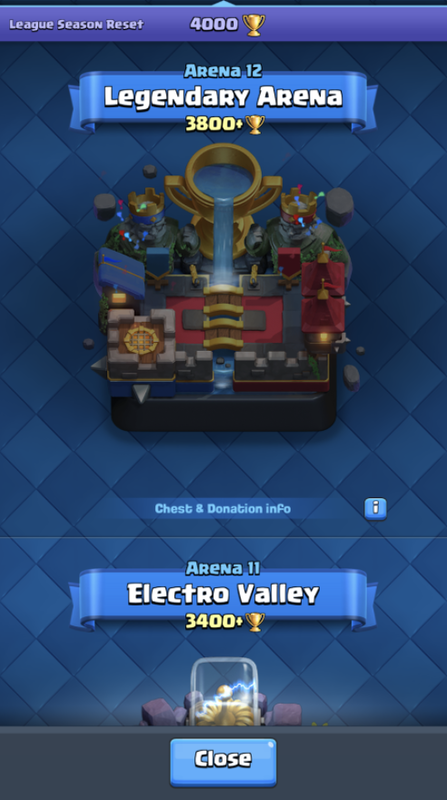 If you win your match you win a Clan Chest that opens into a central “clan deck” of cards that the clan can then level up and use to build a deck for Battle Day. The more players that compete in the collection phase the better the card selection and the higher level the cards. The second day is called Battle Day and now players may only select from the cards they have won at the level that each card is currently leveled up to. This creates a tactical discussion session where deck crafting from the cards that have dropped can be aided by the clan themselves. You only have one chance to succeed, with each clan member having a single battle. If they win, they add a sword to their leaderboard and of the 5 competing clans, one clan will be the overall winner and gets a larger chest. Each clan war lasts around 2 days. Clan Wars - Why do it? Clash Royale is a mature product and with it, there is a mature audience. Most of the players with over 3000 crowns or more will have been playing clash royale for 1 or more years. They will probably have somewhere between 80-100% of the cards unlocked and will be grinding the top levels of those cards. This can take months per card. At this point, there is a large amount of player fatigue and moving people from new or different challenge keep people entertained. As I spoke about in my GDC talk a game team wants to establish a Lord of the Rings Metric (one KPI to rule them all). An update at this stage should focus on driving the most interaction with that metric as by improving this all other metrics will tend to trend upwards. For Clash Royale I would argue it is Battles per DAU which leads to more engagement in all their other systems, spenders will most likely have a high battle count. As well as trying to improve your internal KPIs, the mobile marketing is a constantly changing battleground. External factors can have huge effects on your games bottom line and although unpredictable the one thing you do know is that changes will happen. Just before this update released - Fortnites launch has disrupted and captured 80-90% of the market share relative to the previously steady state. In all competitive games, balance becomes one of the major discussion areas for players. Balance issues usually involve overpowers stats of a single gameplay element, a broken combination of 2 or more elements or a game-breaking unforeseen bug when using the element. In each case the collective of gamers dissect and discuss how to gain micro-competitive advantages with their setups - we call this the metagame (the game outside of the game). An Archetype is usually a combination of cards that all work well together and therefore commonly get picked and combined together. They are the most powerful implementation of cards and so by using them, you are more likely to beat your opponent. Some decks that a Clash Royale player might recognize would be Lavaloon, Mortar-Hog, Bridgespam etc. When you’re a new player you strive to be able to make certain decks that contain legendary cards that you might not own and this drives you to engage more fully. In each case, the decks usually feature 6 core cards and then rotate 2 cards depending on the players' taste. However, from a long-term players perspective, the issue is the boredom of playing the same archetype again and again. The challenge for the designer is to provide enough viable archetypes that during a play session of 10 or more rounds you are unlikely to meet the same deck. Currently, in Clash Royale, I would argue this is not the case, there are around 5-10 common archetypes and at the top end of the game, you see these decks almost every round. This is not an issue only for Clash Royale, but all online PvP games feature this to some extent. Providing interesting tools to the community to enable quick counters and evolving strategies. This common archetype problem is exacerbated in Clash Royale because of the very short game sessions, meaning you encounter more decks in the same period of time. The Archetype problem isn’t a direct gameplay issue because it provides interesting content for players to talk about, this is one of the reasons why Clash Royale has been so popular on YouTube and Twitch. However, without enough variety in a rule set you can grind yourself out of enjoying the experience. Any person who plays competitive 1 on 1 games will know the YoYo effect. When placed in a competitive ladder where your opponents are matched by a ranking formula, such as ELO, the YoYo effect occurs. You yoyo between a high and low point on the ladder as you win one, lose one in a repeating sequence. In my case, I can’t break the 4000 cap and I yoyo between 3600-4000. This becomes immensely frustrating as no matter what I do I can’t maintain my progress. It also means that if I am at 4000 trophies I don’t want to play more as I fear a loss more than I want a win. Leveling up a single card has no real difference to your position post 3000 trophies and so rank becomes a measure of skill. If this was the only mode in Clash Royale it is likely that I would have churned out a long time ago, but what kept me in was the events. Events applied new rules, new deck combinations and restrictions on the gameplay. This often leveled the playing field. The challenge was then to try to beat 12 individuals in a row with only 3 lives. This removes yoyoing entirely as now it’s simply a challenge to continue your winning streak. A new event happened every week and each week it would engage me to compete. I personally drifted from the ladder climbing and focussed on perfecting the events with 2 or 3 that I got all 12 wins. Clan Wars could provide a more detailed structure for events, and pit not just player vs player, but clan vs clan in a clan winning streak. I would estimate a very large proportion of players in clash royale are in a clan. The clan provides a group of people who share your passion and you can talk tactics and share replays. The most used feature within the clan would be the Clan requests where you can ask for cards from your clanmates. Currently, within this interface, there is a large stagnation of content. In my clan I would say there is a core of 8-10 people that actively chat or engage in conversations and discussion, with the majority of people including myself who simply make card request. The more active and engaged a community the more likely they are to stick, spend and promote your game to their friends. From a long tail perspective providing engagement, challenge and motivation to these players are what sustains longer-term revenues. However, without an evolving or changing metagame, a variety of weekly challenges or a global event the clan chat can become dull and boring. I feel that the clan structure within Clash Royale provides all the tools adequate to really helping people to share and strategize but I felt the strategy of the game had tailed off due to the archetype problem in recent months. Let’s think about each of the problems above and how the update attempted to solve them. Whether it was a success or how it could be improved. Firstly, it adds a chance of which cards you find. You no longer have a reliable card collection, each Clan War forces you to look at the cards your clan has found and to create a well- rounded deck. Secondly, the cards you do find level up depending on the number of wins. This creates a wider range of stats with which to vary your deck playing abilities. The decision to take Goblin Barrel level 3 or Knight level 11 can affect your decks build. Finally, your opponents are doing the same collection phase. This creates a more asymmetrical hidden information that means your deck cannot be built to easily counter. Each of these three factors means that wilder and less common card combinations are used and sometimes picking the most OP card in your collection (level 12 Barbarians) can truly beat opponents through sheer power. This plays out quite well as each clan war my clan has played a much wider range of decks. I think the solution doesn’t go far enough. It should be tweaked to put even more pressure on the harvesting day and provide more depth in the War day for clans to strategize. Currently, the number of cards dropped and the number of level ups needed is the same as the main game. There is no reason to use these numbers apart from familiarity and in this particular game mode, you never get enough cards to even see level 11. I would actually adjust the balance of the common and rare drops to provide even more “going for it” level ups, making the choice not just on strategy but stats as well. Currently, a player gets 3 attacks in order to earn cards and then their collecting abilities are capped. It would be more interesting if players had a number of lives in collection day, rather than a number of battles. This means that any player could earn exponentially more cards if their skills were high. 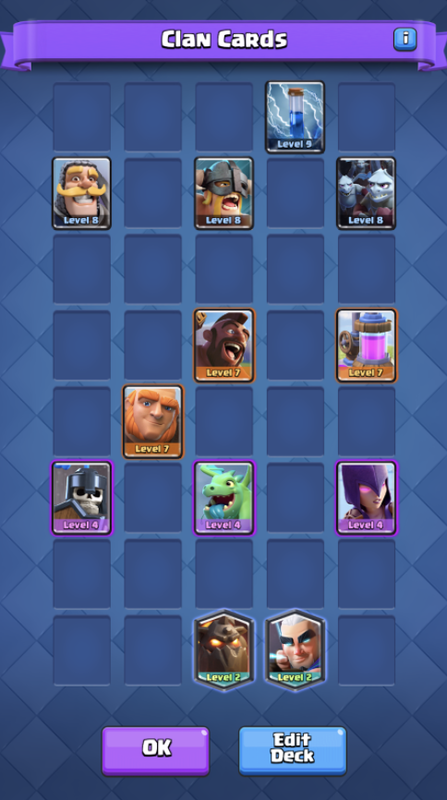 In order to limit players who are very skilled at the game, the more wins you get the more leveled up an opponent's King towers could become. In a way handicapping the victor. This would then provide a range of 3-10 matches for each player depending on their skill. The Clan War battle is also a single battle against a random opponent. You and your clan have no way to discuss or tweak your plays, based on learning from previous battles. It’s an all or nothing affair where winner takes all. What if the clan was given secret information or could earn the rights to see the opponents War Deck by winning challenges. By understanding the cards available for opponents you could again strategize more particularly on your clan's deck crafting. Clan Wars does provide an alternative challenge to the ladder. It’s one more thing to do and I believe it would improve the total number of battles each user takes part in each week. However, the ladder problem still exists in the single-player game. For Clan Wars to be a truly successful update is should actually try to create a larger inter-clan ladder that all clans compete on worldwide ensuring that your personal ladder is of less importance than your clan's ladder position and you spend more time perfecting your skills for the Clan War. At the moment this doesn’t feel the case as we’re still establishing clan win rates. However, I don't see a clear display of the Clan Wars leaderboard and no prestige is provided for those who are on top. This means that over time the wars fought will become less meaningful and apathy towards the wars might continue. Clan War leagues might be a better solution here, read the C.A.T.S review to understand the promotion and demotion of players and how it drives engagement. There is certainly more clan activity since the update. More communication, more replay sharing and an increased discussion about the game itself. We’ve seen more clan leaders send messages to the group to get people involved and the social dynamics it creates are important. I also was personally congratulated for winning my particular fights in the war and that felt good. People within the group are responding and pushing each other to perform at their best and this is very healthy for the game in general. Another suggestion here is that rather than creating multiple decks per clan for each war, the clans should craft a single war deck that all clan members would fight with. 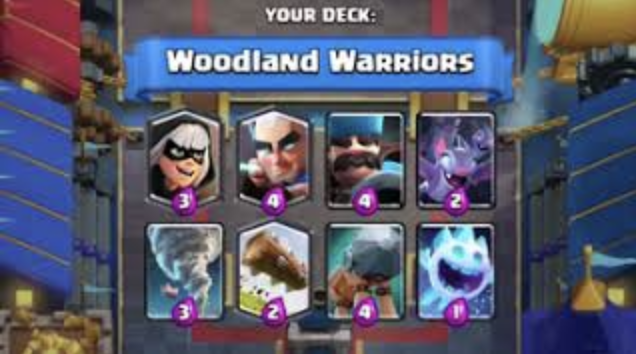 Clan members could each submit their own deck creations along with a name, and the top picks could be voted on for the war. You could then imagine clan discussions recounting previous wars and how certain clan mates created crazy but powerful combinations that helped the clan succeed. You would also face the same deck with your opponents and therefore clan members could coach you through each war day. For me the actual weakest aspect of Clan Wars is war day itself. The collection mechanics and the strategic clan chats have geared you up for an epic battle against 5 other clans. However, what actually occurs is a single match against a random opponent. Once you’ve played this round, the war is over. The fact that the decks you spent so long collecting and crafting are only used in a single match. War Day feel more like a game of chance rather than skill. I felt this acutely on my first war when I won quickly because I was matched with a poor opponent. It had built up, to a single battle that was a poor experience even though I had won and then I was left waiting for the next war. The war could be expanded with a clan tournament. Taking 8 clans and facing them in a 3 tier round robin tournament where if your clan wins you would obtain even more cards, dynamically shifting your war deck. A clan would then spend 1 day collecting and 3 days battling to become the ultimate clan of the 8. Also rather than a single battle, each player should have 3 fights with opposing teams giving a bigger range for skill. The further a clan progressed the more involved in chat and strategy they would become. The Archetype issue would actually become a strategic point of discussion as you played more battles you could feedback to clan mates to let them know the opponent is like to drop a P.E.K.K.A. by giving the clan more and more to think about as results pour in. Clan Wars is a well-designed update aimed at solving some of the more complex design issues that occur in older free to play titles. It’s a great solution for solving the Archetype issue that is very apparent in the core game. We’ve also seen that it provides some remedy to both the YoYo problem and clan engagement but these are likely to be short-term fixes. Clan Wars is definitely an impactful update. Question is, how long does the impact last with the current design. My largest criticism is that the collecting mechanic and “Going for it” feeling is both underutilized and less important than simply turning up and having your battle with any deck. The clan as a whole feels united during collection day and disjointed in war day. I believe the team should go further to create memorable clan wars that are talked about for weeks or months after the event. Players who create the war deck that wins wars will feel proud and acknowledged by the clan and could go down in clan history. Personally, I feel the Clan Wars update is not complete. It has provided a new game mode that creates a dynamic and interesting deck building environment, but it hasn't created memorable clan battle or stories. Each clan war fades quickly into the background and the next war takes its place. The more planning, strategizing and interaction the clan takes in each war, the stronger the emotional connection will be towards the event and this is what will make players stick for the longer term. Nevertheless, personally, I think the update is a miss. it’s nowhere near as engaging as the tournaments we’re for me as it’s simply not skillful enough. I feel they really got some bits of it right, but that players are not driven to work hard to benefit the clan. That being said, it feels like a very fresh mode and I expect Supercell to come out with bigger and more competitive wars. I think, if I’m being honest, the Battle Royale gameplay is what’s popping and dropping it more. Those games are just killing it across all mediums that it’s hard to see how games can compete right now. Clan War for Clash of Clans had a more direct skill element. You chose which base you wanted to attack and you judged how confident you felt with the win. In CR you just don’t get the judgment like CoC and so you’re left to chance with who your final war is with. The wars should have been spread over more matches to reduce the luck element. The collection day in CR is so much better than CoC. They played it very safe with this update IMO and without the alternatives in the mobile landscape, it might have paid off. I think gamers will try it but not love it and are likely to churn. I know I am not really Waring anymore and that’s after only 3 wars. We, at Deconstructor of Fun, are as always rooting for Supercell and looking forward to the upcoming Clash Royale improvements. Deconstructing "Clash of Clans 2: The Builder Base"